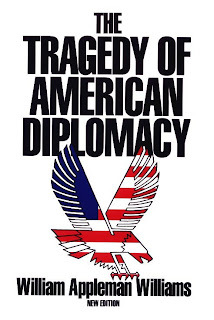 The Tragedy of American Diplomacy is a major left wing critique of American Empire by American Historian, William Appleman Williams a Midwesterner, and a Professor at the University of Wisconsin, my what would he think of the New Right in America today and their take over of his state. Madison, Wisconsin, home of the "Wisconsin School" of history (remembered for its opposition to Empire) and in particular, the key historian of American empire, William Appleman Williams. Lately, with the crises in US foreign policies, namely failed invasions and occupations, Williams's work and name have returned to prominence -- largely thanks to Andrew Bacevich, who like Williams is a decorated military veteran (Williams, a graduate of the Naval Academy, fought in the Pacific, and was shortly pursued by the FBI, became a sort of Christian Marxist, and became a professor). I must admit I had not heard of this seminal work which influenced the new left and the anti war movement, nor had I read it until the new 5oth Anniversary edition came out in 2009. Tragedy appeared in stores a month after the Cuban Revolution, with deteriorating relations between Washington and Havana providing daily illustrations of many of its arguments. "A more saddening example," Williams remarked in a revised edition, "of reading world history since 1917 in terms of the Bolshevik Revolution would be very difficult to find." The ongoing influence of Frederick Jackson Turner was practically certified by Kennedy, who responded to Cuba and other Third World problems by declaring that "America's frontiesr today are on every continent." It is prescient and pertinent today as it was when it was first written in 1959 at the height of the Cold War. It is not just required reading for anti-imperialists and the left, but for anyone interested in the geopolitics of the American Empire. He is NOT Chomsky or other critics of American Imperialism, he actually uses historical materialism to explain why American politicians decided foreign policy despite their perceived opposition to or support of a given viewpoint right or left. His liberal detractors dismiss him as a historical revisionist. In reading Tragedy I have found it to be as relevant today in the Era of American Empire and the Obama administration as it was when anti-Vietnam activists used it for teach ins in the Sixties and Seventies. Williams is appreciated by both the Left and Right anti-war/anti-imperialists. The right appreciates his historical defense of Hoover as someone who foresaw the new corporate state, which Hoover called Corporate Syndicalism, what we would today call state capitalism, emerging in the early twentieth century. Syndicalism is the idea that government ought to reflect producer interests. Thus, a syndicalist congress would include representatives of farmers, manufacturing, service and similar kinds of interests. William Appleman Williams in his Contours of American History argues that this was the idea that the last Progressive, Herbert Hoover, advocated. Supposedly the last laissez faire die-hard, Herbert Hoover was a major architect of peacetime corporatism. As Secretary of Commerce in the 1920s, he encouraged trade associations (incipient cartels) and labor unions. As President, he pioneered most of the“New Deal” measures taken over by FDR, measures which had the unexpected effect of prolonging the Great Depression?itself a result of federal monetary policy. In the 1960s, however, the fresh and bracing air of New Left historiography began to hit the historical profession. Led, as in so many other areas, by William Appleman Williams, these historians pointed out, from their own particular perspective, that Hoover originated the New Deal and that he had in fact been one of the leading pioneers of the corporate state in America. Actually, to the New Left, disenchanted with the welfare-warfare state built by the New Deal, Hoover’s relative voluntarism and reluctance to enlist in the great crusades of World War II and the Cold War looked pretty good in comparison. Thus, in what they took to be Hoover’s emphasis on cooperation among private associations, these historians began to see a more congenial role model than in the aggressively centralist big government constructed by FDR and his successors. The contours of Hoover's career were clear even before he took over the Commerce Department. An engineer by training, he helped finance the Progressive magazine The New Republic under Herbert Croly's editorship, Williams writes, and advised President Wilson beginning in 1916. Williams also notes that the Democrats nearly asked Hoover to run for president on their ticket in 1920. The then-assistant secretary of the Navy — a man named Franklin Roosevelt — said, He is certainly a wonder, and I wish we could make him President of the United States. There could not be a better one. Hoover was concerned about what was going on in the world. For one thing, he watched events in the new Soviet Union and blamed the great inequalities and injustices of centuries. He warned that individualism run riot would galvanize the downtrodden and bring socialism to the west. Corporatism was the path to social tranquility. Williams points out that Hoover, under the banner Progress is born of Cooperation, proposed that government facilitate the formation of trade associations, farm cooperatives, and labor unions, with collective bargaining an indispensable part of the program. The associations would generate codes of fair conduct and competition that members would be expected to observe in order to tame the economic wilderness. According to Ekirch, at the end of Hoover's tenure in national office, over 2,000 trade associations had been created. We are passing from a period of extremely individualistic action into a period of associational activities, Hoover said. Led by sophisticated and responsible men, that is, by a class-conscious industrial gentry, and ultimately controlled by the citizen through his vote, Williams writes, the national government assumed the task of co-ordinating and balancing each of those major elements of the political economy [capital, labor, and the public] and of providing the assistance needed to sustain economic development. For Hoover, the government's role was support, for if it became too powerful, the result would be fascism, socialism, syndicalism, or a tyranny independent of capital and labor. Williams emphasizes that Hoover saw foreign economic expansion as critical to the nation's stability and success. Like so many businessmen, he believed that industry would overproduce for the domestic market and would need ever greater foreign outlets for the surplus — or else prices and profits would plummet. Hoover said, The hope of our commerce lies in the establishment of American firms abroad, distributing American goods under American direction. Considering Hoover's commitment to having the national government support and guide economic activities, he clearly did not have Richard Cobden's free trade in mind. Ever mindful that government is force, Cobden said in the previous century, [T]hey who propose to influence by force the traffic of the world, forget that affairs of trade, like matters of conscience, change their very nature if touched by the hand of violence; for as faith, if forced, would no longer be religion, but hypocrisy, so commerce becomes robbery if coerced by warlike armaments. Individualism cannot be maintained as the foundation of a society if it looks to only legalistic justice based upon contracts, property, and political equality. Such legalistic safeguards are themselves not enough. In our individualism we have long since abandoned the laissez faire of the 18th Century-the notion that it is "everyman for himself and the devil take the hindmost." We abandoned that when we adopted the ideal of equality of opportunity-the fair chance of Abraham Lincoln. We have confirmed its abandonment in terms of legislation, of social and economic justice,-in part because we have learned that it is the hindmost who throws the bricks at our social edifice, in part because we have learned that the foremost are not always the best nor the hindmost the worst-and in part because we have learned that social injustice is the destruction of justice itself. We have learned that the impulse of production can only be maintained at a high pitch if there is a fair division of the product. We have also learned that fair division can only be obtained by certain restrictions on the strong and the dominant. We have indeed gone even further in the 20th Century with the embracement of the necessity of a greater and broader sense of service and responsibility to others as a part of individualism. Whatever may be the case with regard to Old World Individualism (and we have given more back to Europe than we have received from her) the truth that is important for us to grasp today is that there is a world of difference between the principles and spirit of Old World individualism and that which we have developed in our country. We have, in fact, a special social system of our own. We have made it ourselves from materials brought in revolt from conditions in Europe. We have lived it; we constantly improve it; we have seldom tried to define it. It abhors autocracy and does not argue with it, but fights it. It is not capitalism, or socialism, or syndicalism, not a cross breed of them. Like most Americans, I refuse to be damned by anybody's world-classification of it, such as "capitalism," "plutocracy," "proletariat" or "middle class," or any other, or to any kind of compartment that is based on the assumption of some group dominating somebody else. American foreign policy begun in the late 19th Century and come to fruition in WWI and its aftermath, still defines American international relations and its political actions in the world today. Or lack of action in some cases. His critique is that American Foreign Policy is that is is the direct result of American economic interests, the need to expand markets for its goods, to replace Great Britain as the new empire of capitalism. Second that U.S. Government Foreign Policy has never been democratic, it has been conducted in secret, by fiat and by use of secret policies, the origin of the modern National Security Administration, since its inception. The American people even through their elected representatives have not had a say in Foreign policy, its been created and dictated by the Executive branch; the office of the President. And that is still the case today. Another good book released last year that details this secret diplomacy is James Bradley's; The Imperial Cruise, detailing Teddy Roosevelt's secret treaty with Japan in 1905. It is also a historical revisionist work, focusing on Roosevelt's belief in American Aryan Imperialism. Williams thesis is not the stuff of conspiracy theories, rather it is the story of the institutionalization of power in the executive branch of the modern American State. 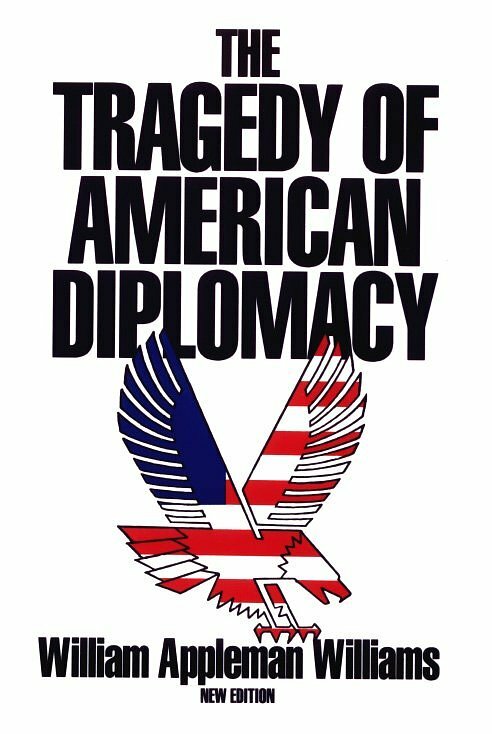 Tragedy was republished coincidentally the same year that President Eisenhower declared America was dominated by the Military Industrial Complex. "When attempting to categorize Williams as a critic of U.S. foreign policy, it is easiest to say what he was not. He was not a Wilsonian. Since Wilsonians have dominated discussion of foreign policy since World War II, this stance left Williams vulnerable to another epithet. Because he dissented from the Wilsonian 'imperialism of idealism,' he was stigmatized as an isolationist economic determinist and conspiracy theorist. The politics of fear and terror so obvious after 9/11 were also present during the late 19th Century Anarchist scare and again during the Red Scares after WWI and WWII. These politics were the creation of the secret state within the Executive branch of the U.S. government which feared revolution and radicals undermining America's capitalist vision of world reform. Williams asserts that America rather than being the shining beacon on the hill of freedom and liberty, was actually terrified of free peoples choosing their own destiny, one at odds with America. We can see that same fear in its propping up Middle East dictatorships which are falling like dominoes. The fact is that as Williams shows all the arguments made to invade Iraq were already part and parcel of the American Security State and its Foreign Policy and had been used by every modern President since McKinley. "The United States first tried economic and political weapons to weaken and subvert the Castro Government. then after those measures failed, the United States invaded Cuba by proxy on April 17,1961 in an effort to overthrow and replace that government by a force of arms. The action was a blatant violation of the treaty system that the United States had solemnly created to govern international relations in the Western Hemisphere, and a violation of its own neutrality laws. Those aspects of the invasion along with other characteristics of the episode, heightened the aura of terror that was developing around American foreign policy. One of the most unnerving features was the extensive elitism that had become ingrained in the policy making process. the assault on Cuba was conceived , planned, and implemented by a small group of men in the executive department. They opened no general dialogue with members of Congress (even in private conversation), and expended great effort and exerted great pressure to avoid any public discussion or debate. That degree of elitism, which goes beyond the delegation of power and authority required to execute public policy began to develop under President William McKinley. The decision to acquire all the Philippines at the end of the war against Spain was made by a s small group of insiders,; and the military intervention against China was initiated by executive order, President Theodore Roosevelt dramatized the continuing concentration of power in the executive department with these arrogant remarks about his intervention to control the Panama Canal route; "The vital work...was done by me without the aid or advice of anyone...and without the knowledge of anyone. I took the Canal Zone"
President Woodrow Wilson further extended such elitism during World War I: covertly changing policy on loans to the allies, and intervening with force against the Bolshevik Revolution with without Congressional authority. The requirements of secrecy during World War II enlarged the power of the men at the top to make decisions without general debate. The practice of informing a few chosen Congressional leaders of a policy just before it was pout into operation was developed as a substitute for the kind of dialogue and compromise that characterizes meaningful democracy or representative government. President Harry S. Truman used that technique in winning support for his program of global opposition to revolutionary movements at the end of the war. He likewise reined the technique of announcing and defining issues in such a way as to place critics on the defensive as men and women who seemed to be challenging traditional American values and objectives. Elitism consolidated those gains and took new ground, durng the Korean War crisis of 1950-1952. the decision to intervene was made without public discussion. The provisions of the Constitution were evaded by calling the war a police action, an, for the more sophisticated, by arguing that the Congressional commitment to the United Nations included an obligation to use force. During those years , moreover, the Central Intelligence Agency enlarged its power and freedom to undertake various self-selected interventionist projects around the world. The invasion of Cuba, in which the CIA played a major role, was but another-if a major- strikde down the road away from responsive and responsible self government in the United States. That in itself generates terror. The kind of terror that Karl Jaspers implies when he speaks of the destruction which grows out of success, and the possibility that tragedy can lead to decline rather than transcendence. Thus,even by itself , the elitism generated terror about what was done as well as how decisions were made. Such dismay was deepened by the elite's self isolation from the nature of reality, by its loss of the power of critical thought, by its exaggerated confidence in American economic strength and military might, by its own arrogance and self-righteousness, and by its Messianic distortion of a sincere humanitarian desire to help other people. Even the American public came more and more to be considered as simply another factor to be manipulated and controlled in the effort to establish and maintain the American Way as the global status quo." With the republication of Tragedy by Norton press in 2009 a reassessment of Williams critique was once again appreciated for its timelessness. Williams was not the first historian to identify the United States as an empire, and much of his criticism of Eisenhower-era conformity echoed that of contemporaries like C. Wright Mills. Yet Williams was unique in linking domestic disquiet to a long history of expansion, which in his grandest formulations he traced back to England's Glorious Revolution, making him one of America's most consequential dissident intellectuals. He was ahead of many scholars in considering how the violence visited upon American Indians by Western expansion helped forge America's double-edged nationalism: espousing universalism, the Puritans wanted to subdue the "barbarians," Williams remarked in The Nation in 1959, while the Puritans' desire to be "left alone" could only be realized by "exterminating" them; the "American dream" for the country to become "a world unto itself" is not as "isolationist a policy as we have liked to think." "Gunfire removed the hardy," he wrote in Empire as a Way of Life, and displacement and disease extirpated the rest: "the coughs, the sneezes, and the laying on of hands were like the bombs over Hiroshima and Nagasaki." Williams's criticism of containment--Washington's post-World War II efforts to isolate the Soviet Union and limit the spread of Communism--got him labeled a moral relativist when in fact he was an ethical absolutist. What is good for us is a non-negotiable good for them. "And if all that the rumors of catastrophe mean," he said on America's bicentennial, "is that the barbarians will land at Plymouth Rock, I can only say that I will give over in peace. They would move us off dead center." By this, Williams meant breaking the cycle in which outward movement through territorial conquest, market expansion or war becomes the default solution to all social ills, and he spent most of his career trying to identify the problem that expansion deferred. At his most polemical and Freudian, tendencies that escalated in tandem with the Vietnam War, he argued that "Americans denied and sublimated their violence by projecting it upon those they defined as inferior." And he was acutely attuned to how "moralizing about the failures of other countries" could be an excellent career move. But in Contours, published in 1961, he reached into seventeenth-century British history to argue that the relationship between liberalism and empire was in effect a grand compromise, with expansion serving as a means of containing the factionalism generated by incipient capitalism. Empire, he wrote elsewhere, "was the only way to honor avarice and morality. The only way to be good and wealthy." In America, the "presence of a continent defended only by weaker souls" made the merging of Puritan purpose with individualism "even more convenient"; the framers of the Constitution were acutely aware that private property generated interests too corrosive and passions too explosive for a circumscribed territory. James Madison was empire's great "theorist," who was "nothing if not comprehensive." Williams quoted a phrase of Madison's every chance he could: "Extend the sphere" and "you make it less probable that a majority of the whole will have a common motive to invade the rights of other citizens." Demands for a leveling of wealth could be defused by opening up "surplus social space." Thomas Jefferson once proposed redistributing property each generation as a way of retaining republican virtue in a small place, but he abandoned the idea to become, in Williams's words, the "epic poet" of the "urge to escape, to run away and spend one's life doing what one wanted--or in starting over again and again." In 1906 the German sociologist Werner Sombart had identified the pull of an open frontier as one explanation, among many, for why there was no socialism in America. And others in the 1950s, such as John Rawls and Louis Hartz, considered the problem of "property" in liberal thought, particularly as it related to the difficulty of achieving social democracy within a capitalist framework. Yet Williams was one of the first to link these questions explicitly to imperialism--or, more precisely, to realize the way expansion warps any consideration of the dilemma. Expanding on the achievements of Frederick Jackson Turner and Charles A. Beard and incorporating insights drawn from other disciplines, Williams sought above all to explain the emergence of the United States as a global superpower, a breathtaking feat accomplished over a startlingly brief expanse of time. He dismissed out of hand the myth that “that the American Empire just grew like Topsy” or that providence had mystically bestowed greatness on a people who simply wanted to tend to their own affairs. The United States acquired power because Americans consciously sought it and relentlessly pursued it. Williams’s singular contribution was to lay bare the reciprocal relationship among freedom, abundance, and empire throughout U.S. history. Sustaining American freedom required ever-increasing prosperity. Enhancing American prosperity required territory, resources, markets, and influence. The resulting American imperium—continental during the nineteenth century, global during the twentieth—derived its moral justification from the conviction that the United States had erected a uniquely righteous Empire of Liberty that expressed history’s (or God’s) intentions. Williams saw American history in its unity, with US foreign policy ultimately reflecting the character of the society, or its dominant elements. Even so, it is of some use to divide his contributions, however arbitrarily, into domestic and foreign policy revisionism. On the home front, Williams' periodization of US history – in Contours – into ages of Mercantilism, (relative) Laissez Faire, and, finally, Corporate Syndicalism, is worth the price of admission all by itself. The last period featured a state-corporate alliance – not unrelated to US foreign policy – which cemented existing relations of wealth and power while handing out apparent favors to the broad masses and making some effort to "stabilize" the system. From entirely different premises, Murray Rothbard and other libertarian writers came to similar conclusions about 20th-century American corporatism. And Rothbard, the "right-wing" scholar, was far more critical of Herbert Hoover, whom he saw as a founder of corporatism – and, in a sense, the New Deal itself. The central focus of Williams' work, beginning with the essays which foreshadowed his Tragedy of American Diplomacy, was how some Americans' understanding of the role of the frontier in US history contributed to a foreign policy of overseas empire. Here, the emphasis is so much on ideas and interpretations of history that "economic determinism" recedes to rather un-Marxist dimensions. Of course, the ideas of the individuals and elites in question aimed at dealing with felt economic crises. Like the men of 1898, whom he was criticizing, Williams believed that the crisis was built into the market economy. They chose the path of domestic corporatism and overseas expansion (Open Door empire). Charles Beard, who shared the same critique of capitalism, sought to square the circle with a program of non-aggressive "continentalist" corporatism. Williams chose to reject the empire in the name of "decentralized socialism." Williams believed that the men who brought America into the Spanish-American War had a well-developed Weltanschauung, or "world-outlook," based on a particular reading of American frontier history. This reading owed much to Frederick Jackson Turner's famous "frontier thesis." The existence of a moving frontier of contiguous land for over two centuries had accustomed Americans to a certain level of prosperity and individual freedom. With the "closing" of the frontier in the 1890s, some new means must be found to prevent the economy from running down – a fear underlined by the Panic of 1893. To members of the northeastern elite it seemed obvious that a neo-mercantilist foreign policy in pursuit of ever-new foreign markets answered the case. This "solution" to the perceived problem was soon repackaged as the Open Door – unlimited access of US companies to markets everywhere, to be achieved, where necessary, by political and military pressure on foreign states, peoples, and revolutionary movements (where they existed). The frontier-expansionist theory of history and the Open Door underlay US foreign policy from 1898 on. Disagreements – within policy-making circles, at least – took place within that framework and dealt with such details as tactics, timing, cost, and so on. Thus, from 1898 to Vietnam and beyond, there had never been a real debate on the purposes and bases of US foreign policy. And, of course, the "problem" the elites claimed to be solving was itself misconceived at several steps in the argument. And, here, we need to go beyond Williams' analysis and integrate his historical materials with the insights of Austrian economic theory. That the United States actually sent units of the United States Army into Russia at a time especially critical in Russian history, the first months of the Russian Civil War, no one disputes. That these soldiers, three regiments to Northern Russia, to the Russian ports of Murmansk and Archangel, and one division, some 8500 men, to Vladivostok on the Sea of Japan, engaged in combat with elements of the Red Guard and the Red Army is also not disputed. That these soldiers, especially those sent to Siberia, actively assisted the anti-Bolshevik forces in the area in various and numerous non-combatant ways, thus liberating them for combat against the Bosheviks, is also generally agreed upon. The question that American historians have attempted to resolve has had nothing to do with the fact of "intervention," or invasion, depending upon your point of view, but with the motivation behind those two military expeditions and the policy of which they were a manifestation. I have already stated the traditional interpretation; let me add a few specifics. It has been argued that the American President, Woodrow Wilson, and his various key advisors, "abhorred the very thought of intervention." The United States, this argument insists, intervened only after considerable prodding by its allies, and then only to assist in the evacuation of the Czech Legion from Siberia, to prevent the Germans from seizing essential war materials, and finally to keep a watch upon the Japanese – who were also intervening in Siberia. This interpretation maintains that the intervention continued for sixteen months after the end of the First World War because of indecision, confusion and inertia on the part of American leaders – and not because of any sinister, imperialistic or anti-Bolshevik intent. In recent years, various American historians have challenged that traditional argument. Without doubt the most important and influential of these historians is Professor William Appleman Williams, to whose insight, scholarship and fundamental humanism this writer and this article are indebted. Williams’ books, as well as those by other "revisionist" authorities are included in the "selected bibliography," but special attention should be given to his article "American Intervention in Russia: 1917-1920," in Containment and Revolution, edited by David Horowitz. And while media analysts have already started to compare the quagmire in Iraq-and please let us not forget Afghanistan-to Vietnam or the Philippines or Haiti or Nicaragua or the Dominican Republic, perhaps a more fitting comparison might be made closer to home. The sixty year relationship with Cuba between the Spanish-American War (1898) and the Cuban Revolution (1959) illuminates so many of the shortcomings in American diplomacy that its history should become required summer reading for the Bush administration. After a lengthy build-up, the United States declared war on Spain on 21 April 1898 after the U.S.S. Maine exploded and the Spanish were blamed (think of it as the nineteenth century version of flawed evidence to galvanize popular support for a war). The objectives of the war from the American standpoint were to free Cuba from Spanish tyranny, to establish and underwrite the independence of the island, and to support Cuba's development toward political democracy and economic independence. As Williams observed in the 1972 edition of The Tragedy of American Diplomacy, the United States exercised considerable and uninterrupted influence in and over all aspects of Cuban affairs for the following six decades, during which time Americans were quick to point out that Cuba enjoyed some modest progress. The advantages Cuba enjoyed as an American protectorate rather than a Spanish colony were notable. So, too, was the modernization of and increase in sugar production. So, too, relatively speaking, was the very modest move toward representative government. But therein rested a disparity between the progressive rhetoric and the actuality of events. Americans dominated the economic life of the island by controlling the sugar industry and by preventing any dynamic modification of Cuba's one-crop economy, ultimately compelling the Cuban people to revolution. Williams drew four conclusions from the Cuban experience, which might appear eerie if put in a contemporary context. The United States possessed an overweening power in relation to Cuba, which it exercised vigorously and persistently. Use of that power prevented the implementation of the ideals avowed as the objectives of power, namely encouraging self-determination on the part of the Cubans, while failing to modernize the Cuban economy. By maintaining their dominant relationship over Cuba, Americans galvanized Cubans into forming a coalition of groups committed to realizing important societal changes. And lastly, American rejection of the Cuban coalition's interests resulted in strengthening the resolve of and popular support for radicalism on the island. Again: American antagonism resulted in a militant reaction against the American presence. After sixty years of American oppression, the Cubans rose up in a militant social revolution that sought to establish the kind of Cuban society and development that American diplomacy had promised since 1898. This influential work by the dean of the Cold War revisionists, first published in 1959, developed a radical critique of American foreign policy. Williams attributed the counterrevolutionary tendency he denounced to a misplaced faith in liberal capitalism, and advised that the United States adopt an "open door" for revolutions. 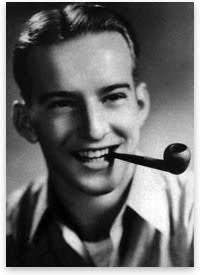 Williams was not a communist, as was sometimes unfortunately alleged, but a radical free-thinker out of the Wisconsin School. Nor was he a realist, though he achieved harmonic convergence with the realists (and the paleoconservatives) on several points: both strains of thought were skeptical of universalism, sought to place limits on the projection of American power, and advised a more accommodating posture toward revolutionary nationalism. Williams was often criticized, and persuasively so, for giving primacy to economic factors in explaining American foreign policy, and his assessment of responsibility for the origins of the Cold War erred on the side of generosity to Stalin's Russia. But there was a certain wisdom in his insistence that America had preached but forgotten how to practice self-determination. We might encourage other peoples to adopt the American system, or join freely in federative systems with them -- but, as Jefferson once remarked, "they have the right, and we none, to choose for themselves." PROF. WILLIAMS: Congressmen Kastenmeier and Rosenthal, I should like, at the outset, to speak to three charges made against the critics of American policy in Vietnam. First: that some critics are Communists. This is true as fact. It is also true as fact that some extreme reactionaries are also critics of American policy in Vietnam. Both facts are incidental to the substantive issues. Criticism is properly judged by its relevance, by its evidence, and by its internal coherence and logic. If Communists offer a better critique than non-communists, which I deny, then the effective non-Communist response is to do better homework on the issues instead of forwarding fantasy and hearsay to Washington. Second: that the critics lack the necessary information. I deny this to be the case. I deny it on the basis of my experience as a naval officer cleared for secret documents. I next deny it as an historian who has seen such data after the fact of failure. I finally deny it on the basis of several extended conversations with officials who have served, or are serving, in Vietnam. The information that some critics lack does not destroy the validity of their criticism. Third: that, whatever mistakes we have made, we are caught in a situation of fact, and we have to see it through on the road we have chosen. This argument is part of a broader pattern of evasion. We humans are very prone, when we make a major mistake, to begin lying to ourselves. We go on indefinitely--until we pay the wrenching cost of the mistake, or until we muster the courage and the will to stop lying to ourselves. I am here to suggest that it is long past time we stop lying to ourselves about Vietnam. Since it offers us a chance to stop such lying, this hearing is of course welcome. I acknowledge with great respect the patriotism and courage which have produced it. But, I must say in all candor that, even more than the teach-ins, this hearing dramatizes the breakdown of representative and responsible government in foreign affairs. If we are lucky, the Congress will some day hold hearings on Vietnam. But Congressmen are neither trained for, nor charged with, the responsibility of being historians. Their Constitutional duty is to participate in making history. Being persuaded by the President of the wisdom of the President's policy does not qualify as such participation. The President and his advisers have no monopoly on truth or wisdom. And, even if they did, the Constitution reserves to the citizens the fundamental right to make their own mistakes. Therein lies the essential element of greatness of the United States. Hence I am here to protest the failure of the Congress to honor its Constitutional obligations. I am also here to protest the official argument that we can relax because we have the power to have our butter along with our guns. This is a disgusting and demeaning rationalization. The issue is that this government is using more and more guns in the desperate hope that violence against other human beings will give it time to find the moral courage and intelligence that it should-routinely-have had and used more than a decade ago. This is the bankruptcy of policy. I am here to protest that bankruptcy. It is said that we are in Vietnam to honor a commitment to our friends. This claim is worth our close attention. The friends were originally Great Britain and France, and the commitment was to their decision to terminate French colonialism in Vietnam. We formally hedged on that commitment when we refused to ratify the Geneva Agreement. But in initialing that document we remained morally bound to the commitment. by William Appleman Williams. 2010. 132 pages. The Academic Inquirer headline would read: “Historian Caught Writing Fiction!” Quite a number of citizens in the Oregon State community remember William Appleman Williams, and many who knew him well had the same reaction to hearing about Ninety Days Inside the Empire: “Bill Williams wrote a novel?” “Is it a historical novel?” Williams as a historian sought to construct a kind of narrative of America’s wayward development, but his method was persuasive exposition, not narrative itself, so to find that he produced an extended piece of fiction is to discover a new way to understand him, his sense of himself, his intellectual development and, by implication, his views on where the boundaries of effective history are. He wrote this story in the 1980s, and progressed far enough to show it to his agent, Gerald McCauley, to some of his colleagues, and in 1987 to Gore Vidal, who is said to have remarked that it would make a better movie than a novel. For whatever reasons, Williams did not revise to the point where he might aggressively seek to publish.